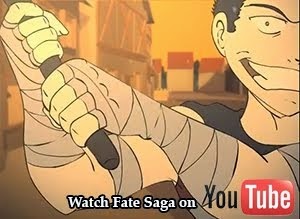 Fate Saga is a fantastical, action/drama animated series about fate and free will, and follows Cain, a knight who can see the future. With only glimpses of prophecies to guide him, Cain interferes in natural disasters and war in hopes of stopping his tragic visions from happening. However, in a world on the brink of an apocalypse, is knowing the final outcome enough to change it? 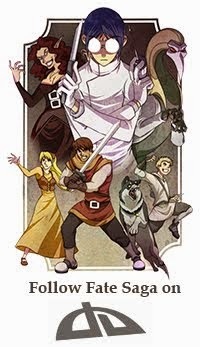 Fate Saga is an original animated action/drama series taking place in a fantastical world based on Medieval Europe. Hey everyone! I hope you are enjoying the holidays and looking forward to a prosperous New Year! I am eager and hopeful for some good things to come for Fate Saga. There was an issue with the images popping up with the Navigation Bar on top of them, which is now fixed. Please send me a message or comment here if you're still having trouble with the images or any other part of the blog's functionality. Currently, we are hard at work on the concepts (layouts, model sheets, character concepts). Only a fraction of it is on the blog right now, with much more to come in 2012! A great thanks to everyone who has been following the blog thus far, and I hope you will continue to enjoy the ride with us while we coast our way into the new year! 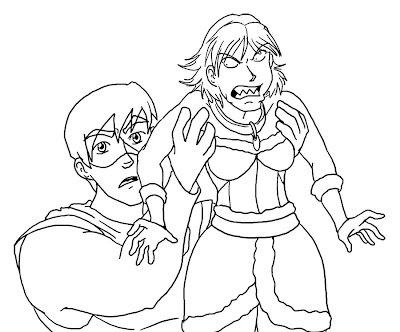 This was one of the test drawings for Rori and Cain's new outfits that didn't make it to the color stage. 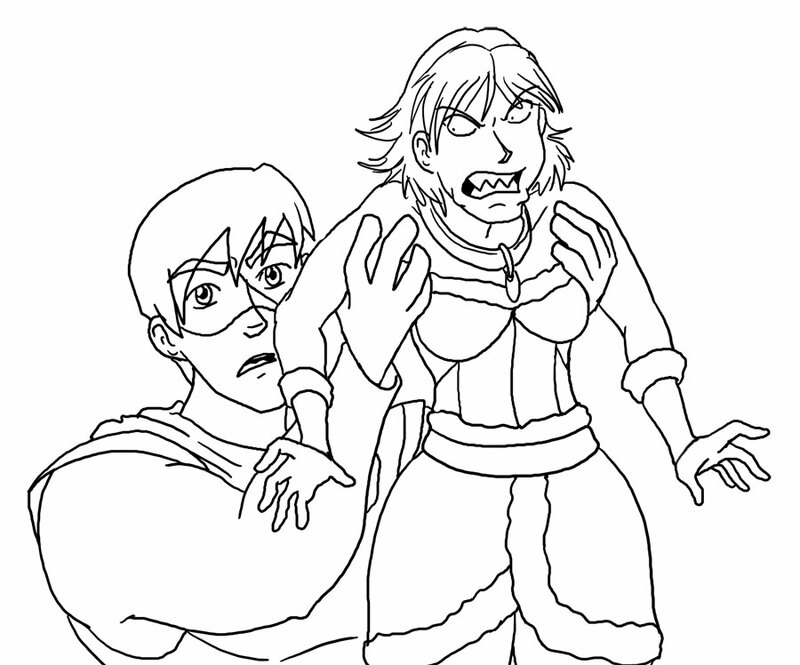 I like how some of it was coming out, but it really isn't the best test for Cain because Rori's covering most of him. Rori is very short - 5'2, and Cain is a whopping 6'2. I imagine in this scenario, they might be trying to watch some kind of event, either behind a fence, gate or in a crowd of people. Rori can't see over everyone else, so she goes to perch on something higher. But climbing on things is very unlady-like, and Cain being the helpful gent he is, decides to spare Rori the strain of climbing and just hoists her up like a little kid so she can get a better look. But Rori doesn't like to be touched, and she especially doesn't like some guy taking it upon himself to pick her up. This would probably be early enough in their relationship that Cain doesn't yet know better. Cain's asking her if she can see any better now, and Rori's about to tear his face off. Seasons Greeting from Fate Saga! Although Christmas was what I had in mind, I most tried to incorporate the essence of what the holidays are all about - celebrating with those closet to you. 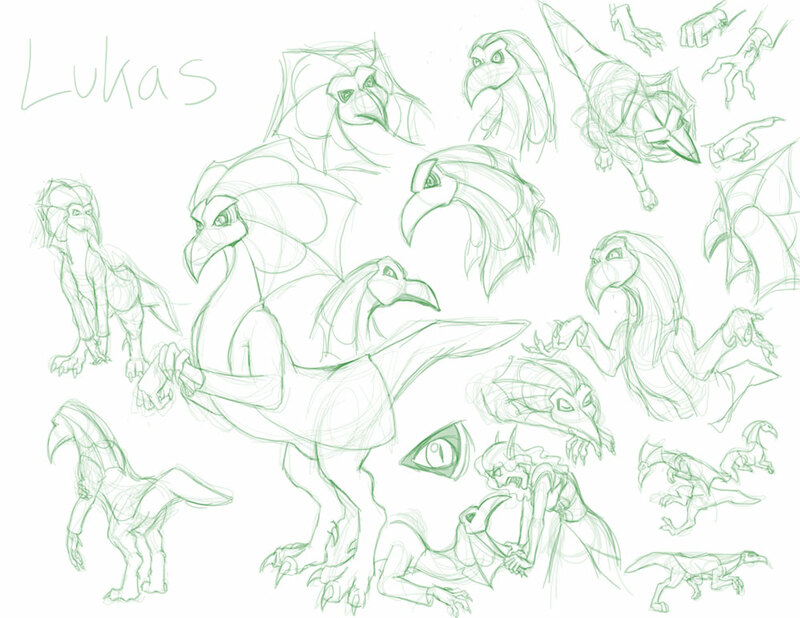 These were a batch of practice sketches I did for Lukas, Fate Saga's biochemist. Lukas is one of the newest Fate Saga cast members, and as a result he's had a design that's been ever changing. His mask itself is something that always looks a little different every time I drew it - so with these sketches I'm hoping to solidify Lukas' design. His body is very lithe and snake-like, while his tail is stiff and heavy. I was hoping that, by giving his tail a distinct shape, it would make his tail much easier to visualize and draw and also Lukas needs his tail to keep balance. One major challenge was trying to make Lukas expressive with so much limitations on his face - the only thing I have to my disposal with him are his upper and lower eyelids, and even they are limited by the shape of the eye opening in the mask. I debated on different shapes for the eye opening - and even considered letting the eye opening take the shape of the eye for better expression. However, it wouldn't work - masks just don't do that, and it would require a more cartoony element than what Fate Saga currently has. Lukas, being a dinosaur-looking creature already, runs the risk of coming across as too cute. He has to be scary enough to be taken seriously as a villain. 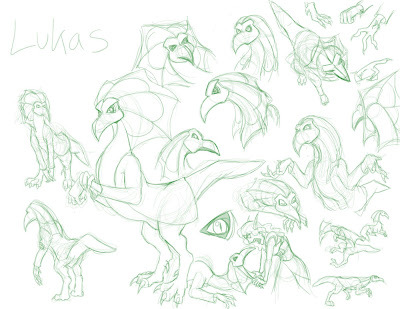 Lukas body and frill design is based off of research of frilled lizards, dilophosaurus and dragons. His mask is based off of the plague doctor, and the lab coat is a simple lab coat similar in design to what Armand wears (except Lukas has to keep it open because it doesn't quite fit his body). So You're a Were Wolf, Huh? This may not be exactly how Cain and Rori meet, but this encompasses pretty much their first impression of each other, as well as their chemistry at the beginning of the series. Cain is a very serious knight and has trouble understanding sarcasm. Rori lives off of sarcasm. Cain is a bit prejudice against were-wolves. 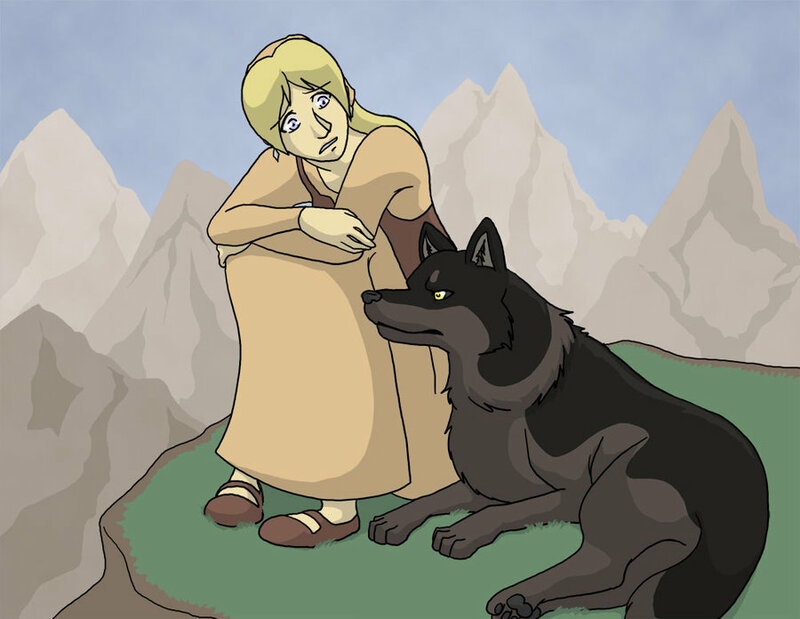 Rori is, too (despite being a were-wolf, herself), but she still thinks Cain is an idiot. And nearing the conclusion of the Main 4's interactions, we're at Larkspur and Rori. Although Larkspur and Cain have similar values, both of their relationship with Rori is much different. 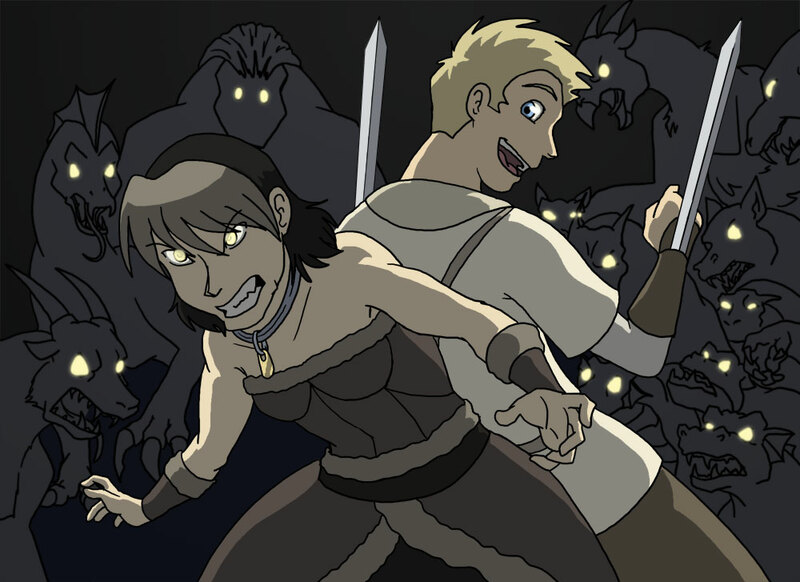 Unlike Cain, Larkspur is much more understanding and flexible in her beliefs. Although she doesn't agree with a lot of what Rori does, she only brings up her disagreement if she feels that it's absolutely necessary - and still in a way that is respectful. As a result, Rori is much more inclined to listen to Larkspur. That doesn't necessarily mean Rori will change her viewpoint, but she'll listen to Larkspur's stance. At the same time, Rori is a feminist, while Larkspur has a much more traditional mindset. Rori believes that Larkspur's potential is held back because of her traditional values and everyone else's expectations of her, and at times tries to encourage Larkspur's assertive side. Their mutual respect for each other sometimes leads to long conversations, with topics usually deeper than Rori is at times comfortable with. So usually it's Larkspur doing the talking - with just a little bit of input from Rori. Guile and Rori meet before the series begins, so they're already friends when they're introduced to Cain (and, consequently, introduced to the viewer, since we meet Guile and Rori vicariously through Cain). Guile and Rori have an odd relationship. Rori's much older than Guile, and is in fact the eldest of the main four - nearly pushing thirty while Guile's half her age. However, Rori is cursed with lycanthropy - all she wants is a cure, but has a hard time gathering any information or even talking to people without being chased with pitchforks. So in return for taking care of Guile, he in turn talks to people and looks for information for her. She uses him from the start, and makes that clear from the beginning of their relationship. Rori doesn't believe in love or friendship, having been burned so badly by loved ones before even meeting Guile that she cut herself off from any relationships. Rori feels that, in the end, everyone is merely out for themselves and any form of affection or loyalty is only out of convenience. However, Guile somehow manages to reserve a soft spot in Rori's callous heart. While Rori's not about to jump to Guile's defense during a skirmish, if he's ever in real danger - she'll get involved. And any enemy who invokes Rori's wrath is one who will soon wish s/he hadn't. Guile, on the other hand, is loyal and trusting to a fault. He sees Rori as both a motherly figure and his best friend, and often cracks jokes with her even if she never humors him. Unfortunately, Guile is mostly incompetent and often causes more problems than he's able to help with, which at times puts Rori in a bind. 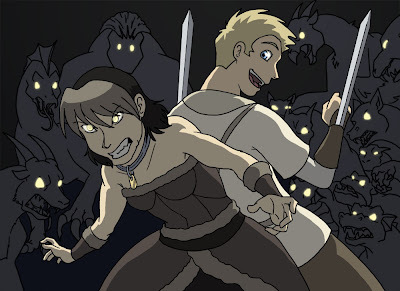 Here, they're being surrounded by chimeras and things are looking mighty grim - not that Rori's about to go down without a fight they'll remember. But that's not about to stop Guile from cracking a few jokes. Like Fate Saga on Facebook! Dana is a freelance animator with a Master of Fine Arts in Animation from Savannah College of Art and Design, received in March 2011. 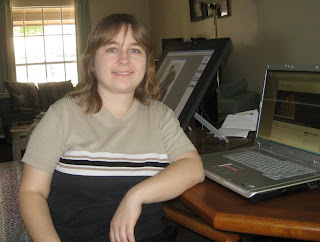 She obtained her Bachelors of Arts in Electronic Media Art and Technology from the University of Tampa in 2006. Her professional background including multiple small scale, freelance animation and interactive projects for companies such as Oddpodz, DataPros and Virtual Intelligence Providers gives her an understanding of the production process. Which character would you most like to see a short animation test for? Follow the Blog through NetworkedBlogs! 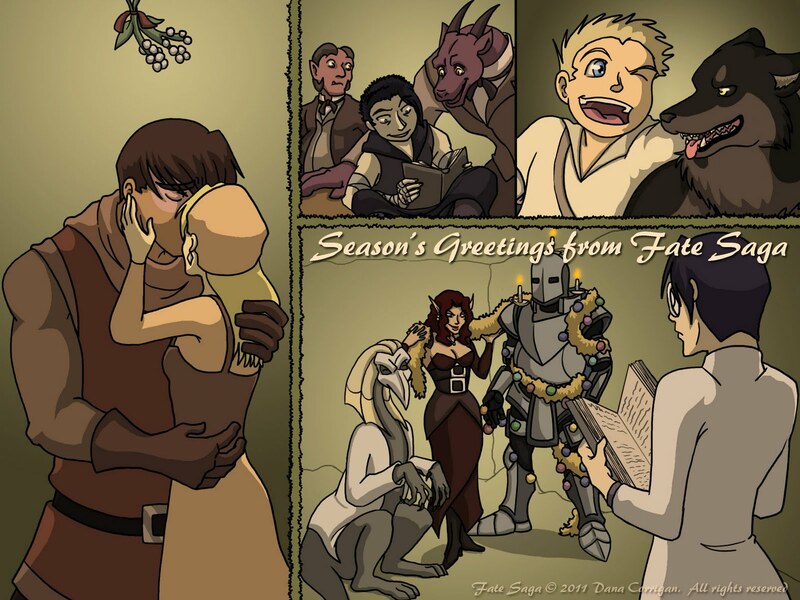 Follow Fate Saga by Email!